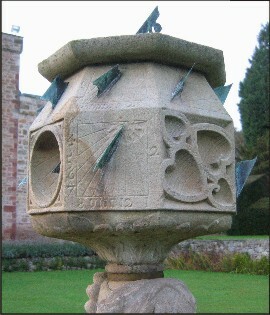 This remarkable object is a Scottish sundial. Its intricate geometry and beautiful craftsmanship are like many of the stone sundials found in Scotland. They were one of the features of grand houses in the 17th century. But this one seems as if it is holding secrets, it is not quite like the others, it is a curious object and perhaps it holds its own story? The sundial sits balanced on the head of an unknown lady, who could she have been? 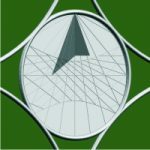 The sundial at the top is too high to read, was this intended? 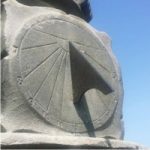 Historical records show this sundial in the 1800s standing at a house in the West of Scotland, but by the early 1900s it was in the East of Scotland, why was it moved? We are starting on the trail to try and uncover its secrets. 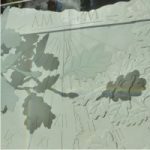 This entry was posted in News, Sundial stories, Sundials on October 28, 2015 by Alastair Hunter.